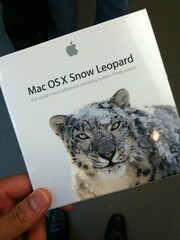 Reports of a potentially critical Snow Leopard bug that can erase a user's account data have continued to surface since the operating system's debut. Since Mac OS X 10.6 launched in late August, numerous reports online have detailed the issue, which is triggered by logging in and out of a guest account on a Snow Leopard machine. Upon logging back in to their regular account, users will find that it has been wiped of all data.